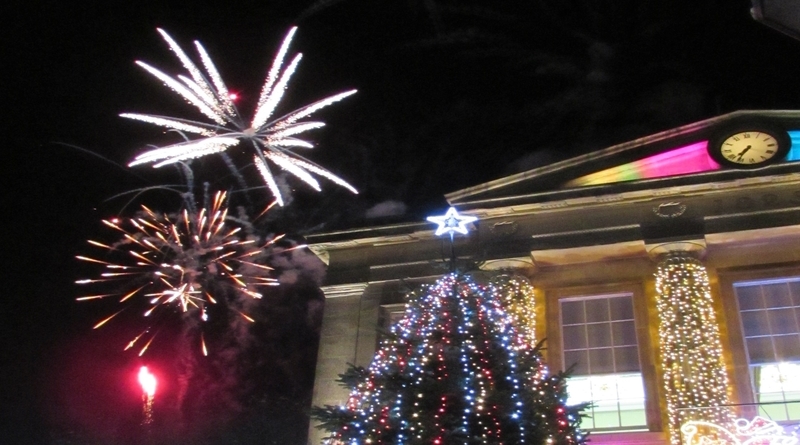 Save the date for the Christmas Lights Switch On – Friday, 16 November! The nights are drawing in and that can only mean one thing – the annual Christmas Lights Switch-on event in Andover High Street from 5pm – 7.30pm on Friday 16 November. This is one of the biggest events in Andover’s calendar and heralds the start of Christmas festivities in the High Street. The event is perfect for families with Father Christmas stopping by, rides, stilt-walking reindeers, face painting, hot food, live music and The Big TV Screen so no-one will miss a thing. The whole evening will be compered by Steve Randall from Andover Radio, and the stage will play host to lots of local talented artists and children. Don’t forget it wouldn’t be the Christmas Lights Switch On without a grand firework display at the end of the evening kindly provided by the Chantry Centre! So many local families make this an annual treat to start the lead up to Christmas. If you haven’t experienced it yet, I would highly recommend that you make your way to the High Street on 16 November and be part of a fantastic community event. This very popular annual event is brought to you by Test Valley Borough Council, Andover Vision, Andover Town Council, Basepoint and The Chantry Centre, and is hosted by Andover Radio. Make a date in your diary now so that you don’t miss the High Street event of the year!